123-txt | Cloud SMS Gateway. Integrates with all business applications. 123-txt offers a dynamic, secure, cloud-based SMS gateway for business. Designed to work with your existing infrastructure. The 123-txt platform boasts a diverse and powerful feature set. 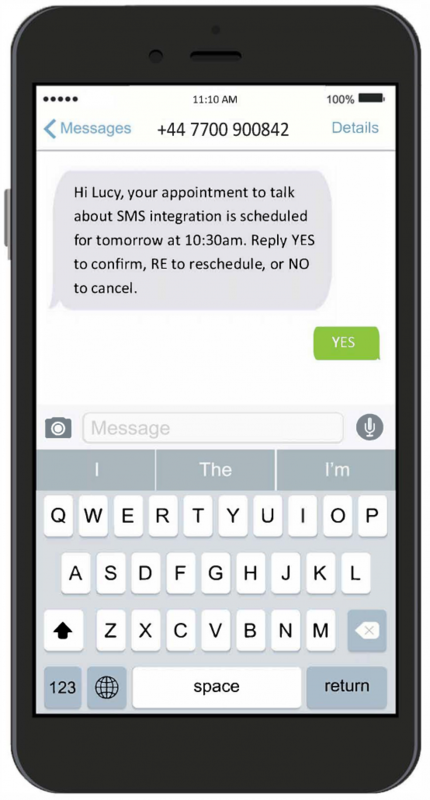 Whether you’re after SMS surveys, marketing campaigns, appointment reminders, automated SMS generation or bespoke messaging on the fly, we have you covered. We strive to deliver the best user experience and our platform is both user friendly and extremely fast. Based on the latest in web technologies, our client gives you the ability to meet all your SMS needs, wherever and whenever you need it. With a wide variety of ways to hook SMS delivery into existing applications, we are the developer’s choice. With an extensive list of APIs and support for the SMPP protocol, we are able to integrate with almost any system to provide it with SMS functionality. SMS messaging is the most ubiquitous form of written communication in the world. With businesses from all around the globe adopting SMS as a key channel for internal and external communications, people are now used to using SMS in their professional lives. The familiarity and accessibility of SMS makes it the best way to reach your audience quickly, efficiently, and in a way that suits them. SMS messages are sent around the world every day. of people state SMS as their preferred means of receiving sent information. ProcessFlows has over 30 years of experience in delivering complex business solutions, creating not just a wealth of experience, but also a highly-skilled team of business consultants and analysts, whose total focus is to support our partners and customers. We entered into the SMS arena back in 2003 with our on premise SMS gateway (Text Message Server) and launched 123-TXT, our Cloud SMS service in 2013, built from the bottom up on new technology. It is worth noting that we don’t just provide SMS messaging, our extensive portfolio of services and solutions is transforming business processes in more than 2500 public and private sector organisations across the UK and further afield. Give us a call today, we’ll be more than happy to chat and discuss how we can help your organisation become faster and more efficient, enabling you to improve customer experience and employee satisfaction. Or visit www.processflows.co.uk.